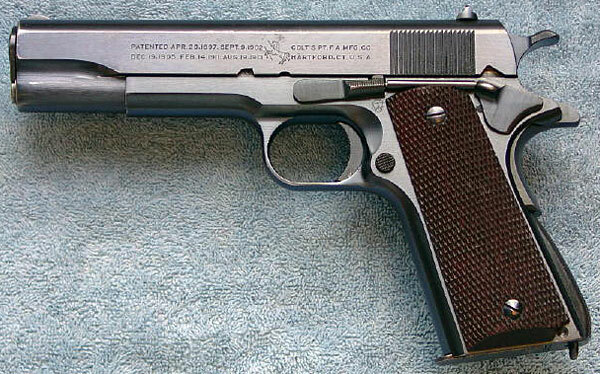 Colt Model 1911A1 Transition Model - Serial number 701930 was shipped February 7, 1924 as part of a 1000 gun shipment to the Commanding Officer at Springfield Armory. This transition is a late first "WTG" type. 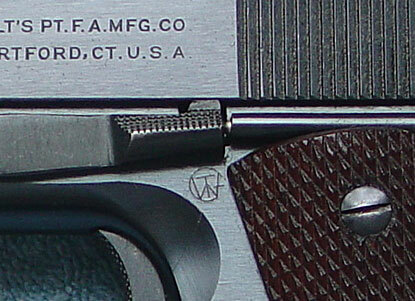 This gun has the broken die, and late in the 701900's, what's called the double circle die was introduced. If you look closely in "Clawsons" Collectors Guide, you will see the Transition pictured there, No. 701676 also has the broken WTG die. 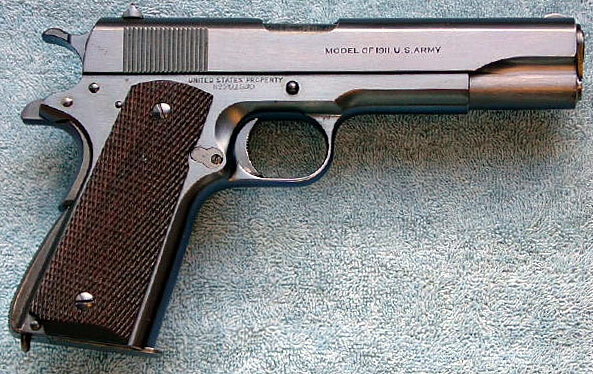 10,000 pistols were made in 1924.